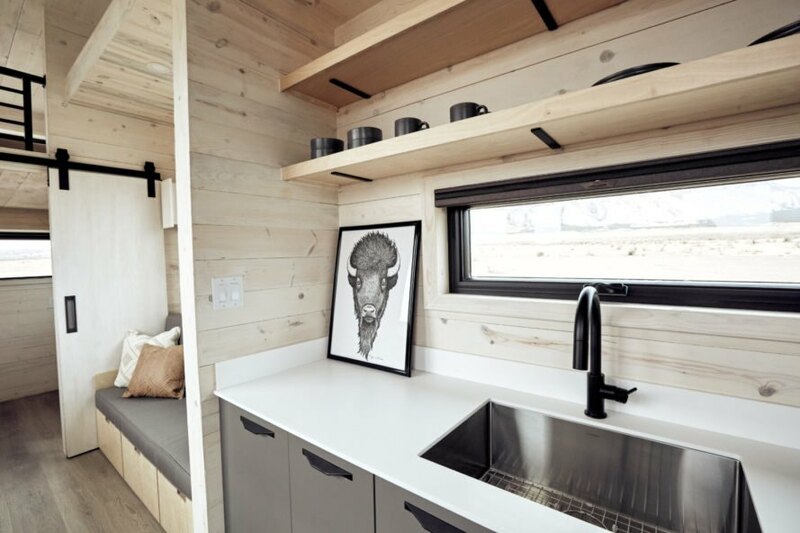 Designed by Brian and Joni Buzarde, the Land Ark RV is a tiny home on wheels that’s geared toward adventurers who prefer to travel in style. 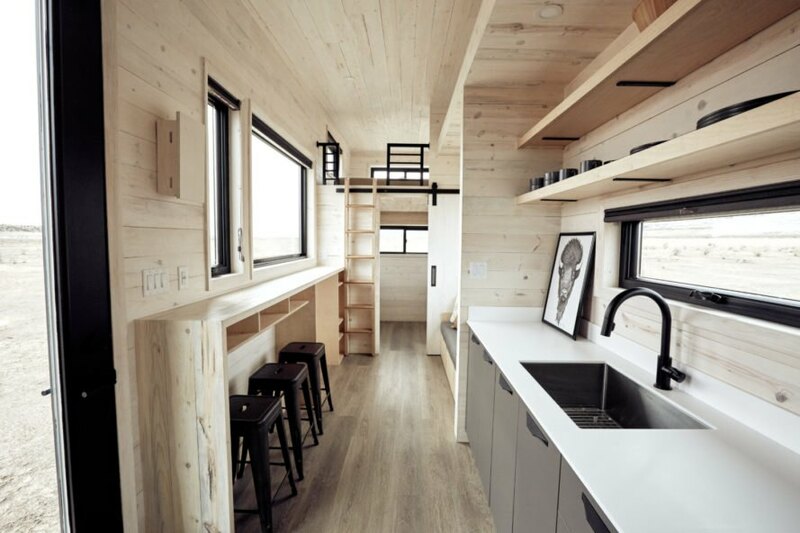 Not only does the RV’s design include a contemporary and sophisticated all-black corrugated metal exterior, but the interior boasts a well-lit living space, complete with all of the comforts of home. The sleek silhouette of the beautiful RV is inspired by the symmetrical front elevation often found in ship design. 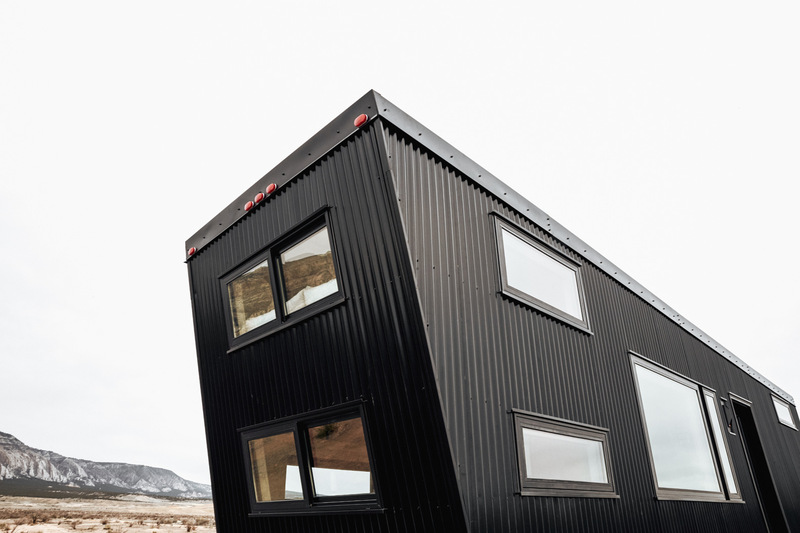 The sloped roof appears steeper from different angles, creating a sense of movement even when the tiny home is stationary. In contrast to the sleek, all-black exterior, the interior is a light-filled oasis of strategic design. Clad in natural pinewood panels, the living space is large and airy. The kitchen and living room are subtly integrated, sharing a long shelf that pulls double duty as a dining area or office desk. 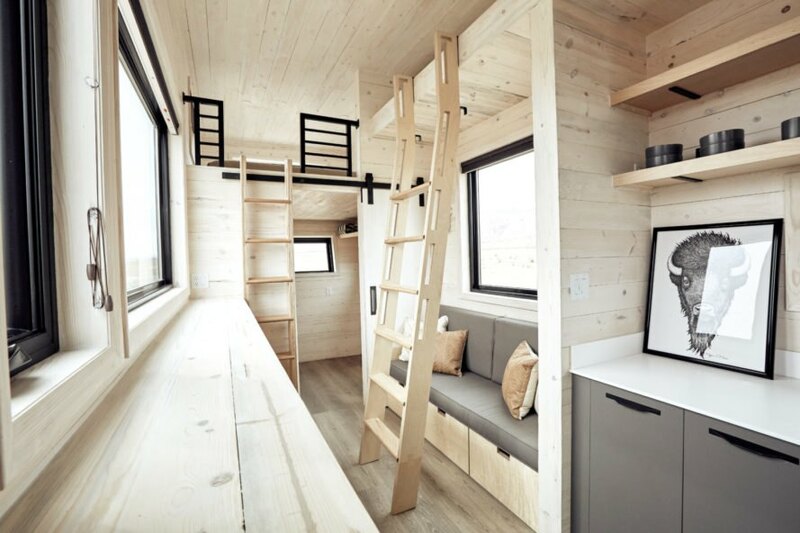 A large sleeping loft is accessible by ladder and lit by various windows. For extra space on the ground floor, an additional “flex room” can fit a queen size bed or serve as an office. 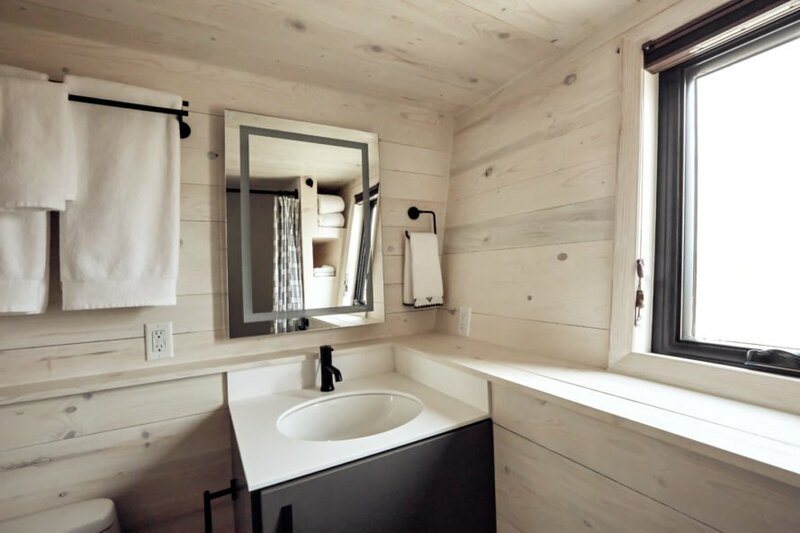 The tiny home‘s bathroom, which comes with a 30 x 60 inch tub and Kohler features, is compact but has a long pine ledge to create plenty of shelf space. There are also several linen and storage nooks to help deter clutter. 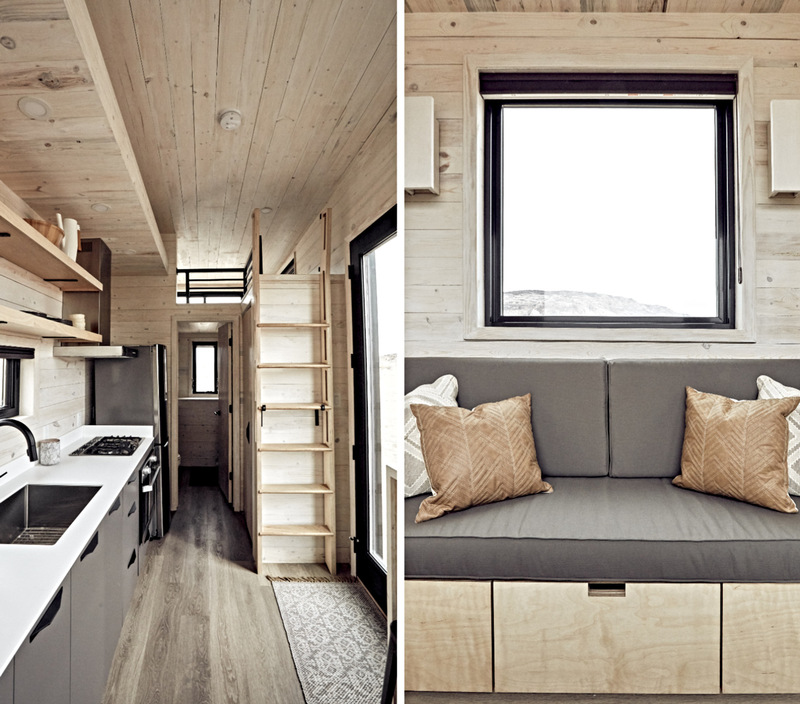 Brian and Joni Buzarde designed the Land Ark RV for stylish adventurers. 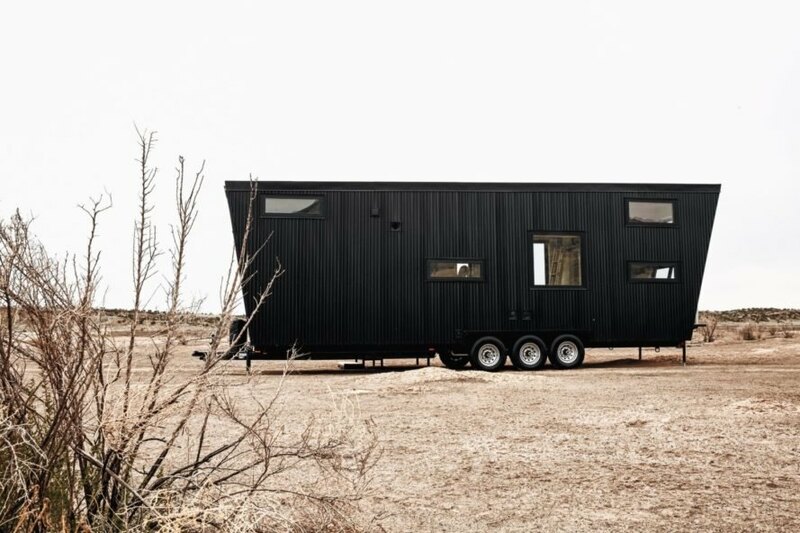 This tiny home on wheels features an all-black corrugated metal exterior. The RV design is inspired by ships. The designers included several windows to let in plenty of natural light. 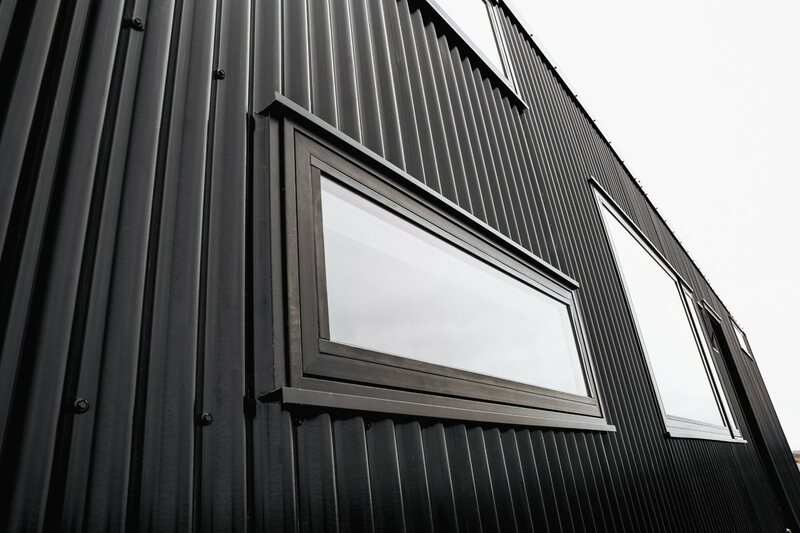 The sleek black exterior creates a sophisticated, modern look. In contrast to the sleek, all-black exterior, the interior is a light-filled oasis. Clad in natural pinewood panels, the living space is large and airy. A long shelf, which doubles as a dining table or office desk, connects the kitchen and the living area. The living area is well-lit by natural light. 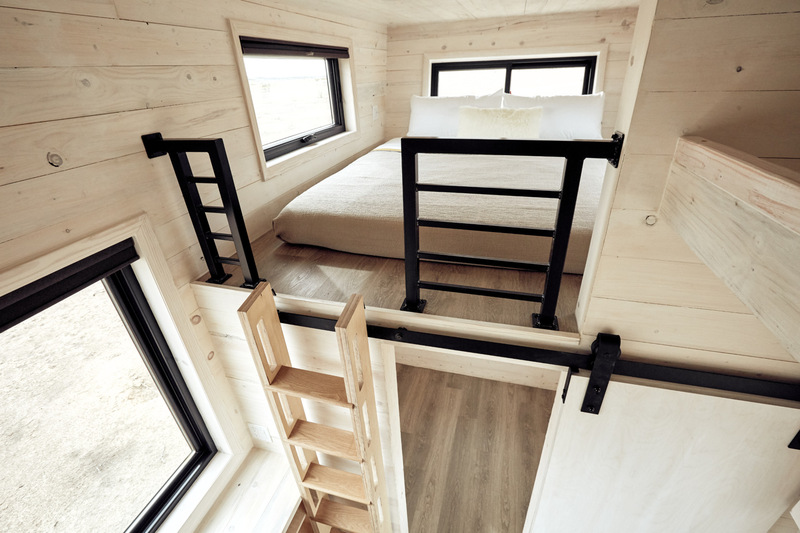 A ladder leads up to the cozy sleeping loft. 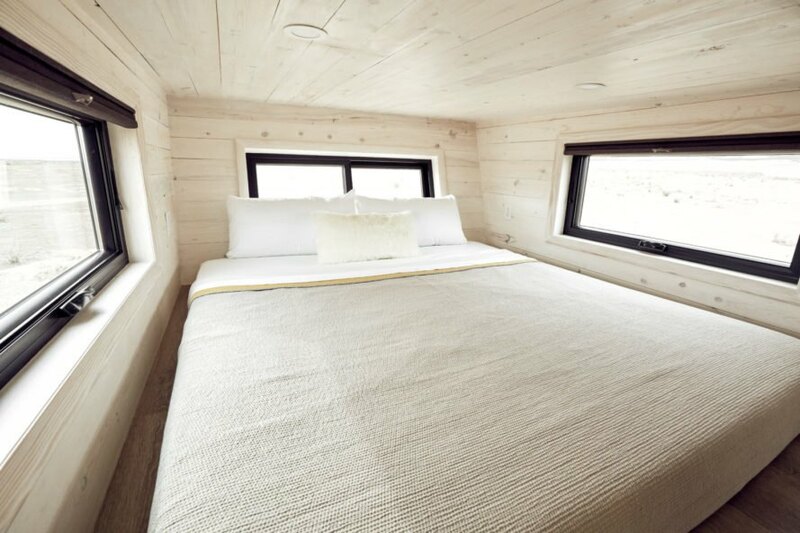 The sleeping loft can fit a queen sized bed. The compact bathrooms features several unique storage solutions. 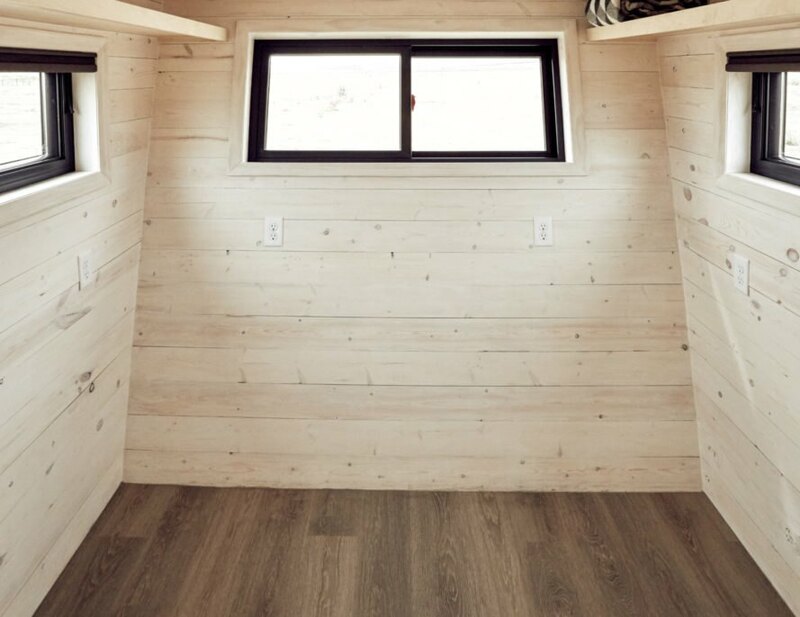 For extra space on the ground floor, an additional "flex room" can function as a guest room or office. 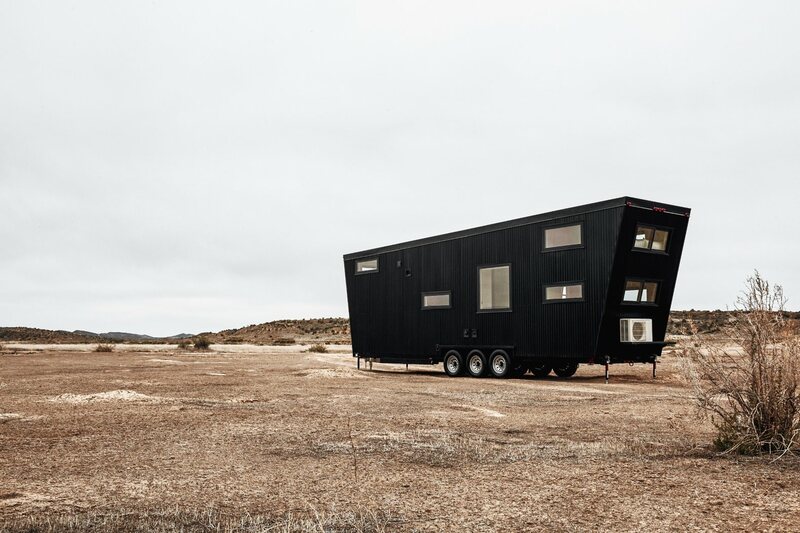 The Land Ark RV lets its residents take on any rugged landscape in style.